ardionics SA was founded on 30 April 1969 by the famous Belgian company Union Minière. Cardionics SA purchased an ECG program developed by IBM in collaboration with a group of American cardiologists from Mount Sinaï Hospital in New York. 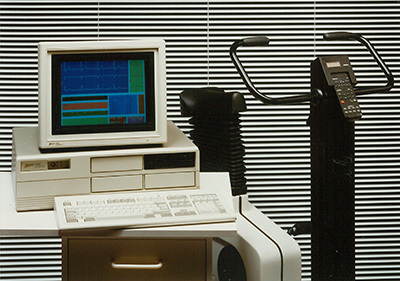 Cromed, a sub-company of Chromalloy American Corporation, ensured the distribution of this ECG system (software and hardware) in the USA. 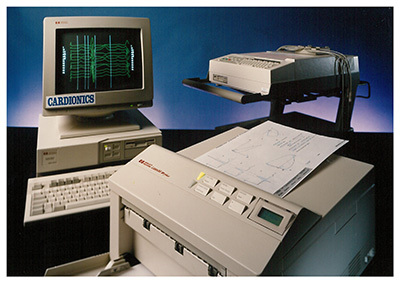 Union Minière and Chromalloy American Corporation decided to found Cardionics SA in order to widespread hardware and software for PC-based ECG signal analysis in Europe.